I like arriving to countries that I don’t know much about until I arrive. Other than some documentaries I had seen by chance a few weeks before my visit, there wasn’t much about Malta I knew. I had expected the island to be a mix of European and Arab cultures, and this seemed to be a bit right. 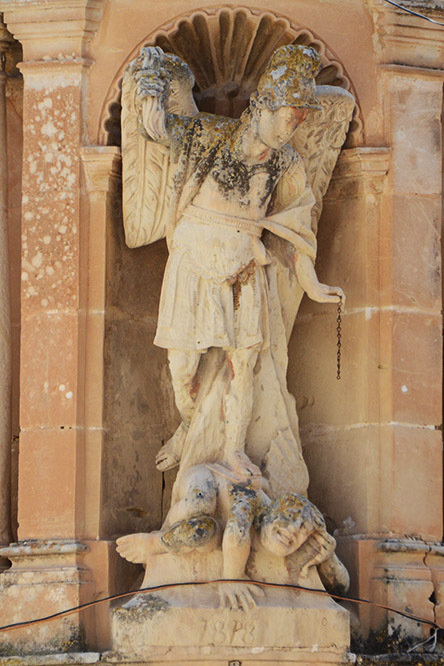 One of the first places I visited was the ancient city of Mdina. 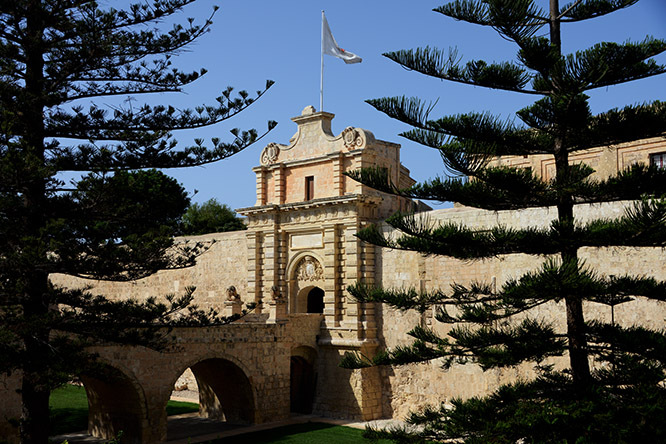 Mdina is located in the heart of the island, and has existed for millenniums. The city was possibly founded by Phoenicians as early as 700 BCE. Several empires have controlled the city throughout its history, and in the past 1,000 years Arabs, Romans, and British have had major influences on the city. 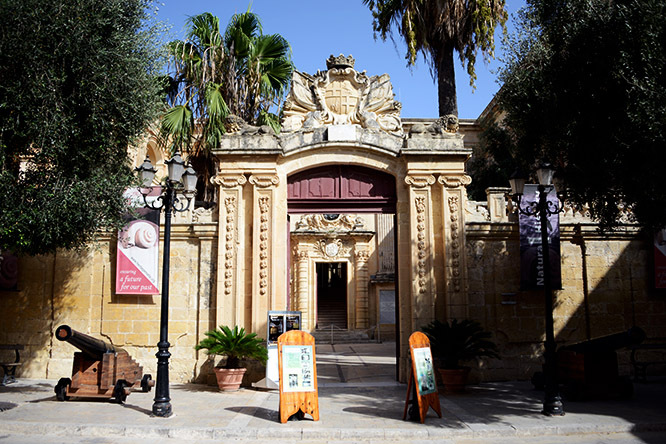 The photo above shows the main entrance into the city of Mdina. The first thing you’ll come across after entering the city is this museum above. It’s actually the natural history museum of Malta, and for some unknown reason I never visited it. A big regret of mine! I later found out that the museum has lots of wildlife on display and some in depth coverage on the country’s geology. This is definitely a place for me to go to when I return! Once inside, I had assumed that cars weren’t allowed here and this was a pedestrian only city. 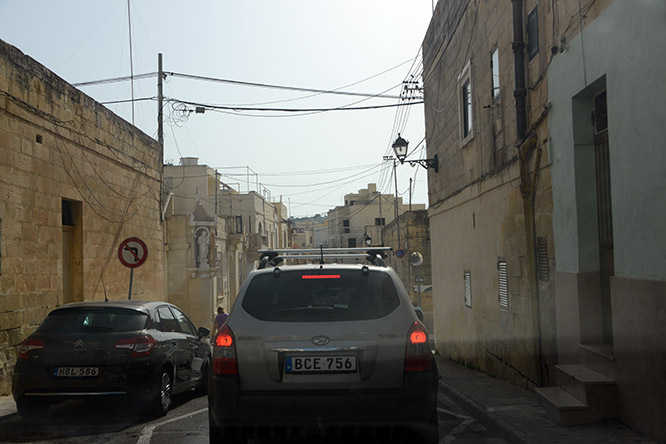 Not only are cars allowed here, I even saw one drive across the bridge I had walked over in order to enter Mdina. 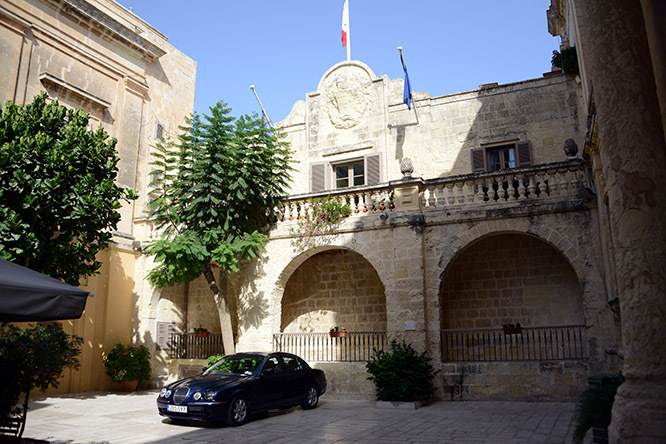 You’ll find several cars parked in annoying places in Mdina, but the far majority of the people here get around by walking. 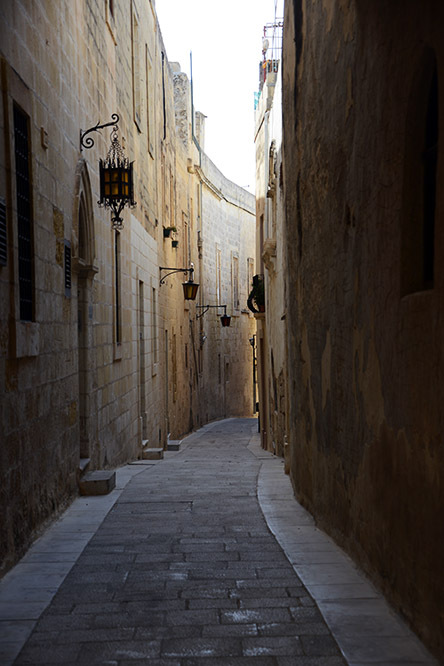 Most of the alleys in Mdina are too narrow to drive cars down anyway. Most of the city probably hasn’t changed too much on the surface in the past thousand years, and it’s a great experience to walk and explore these alleys on your own! 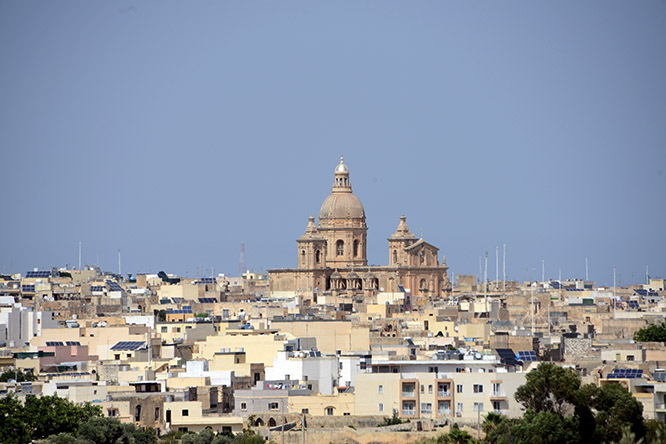 In the center of Mdina you’ll find St Paul’s cathedral. Most of the buildings look Arab or North African style in the island of Malta, but I was surprised how many churches and cathedrals there are here. 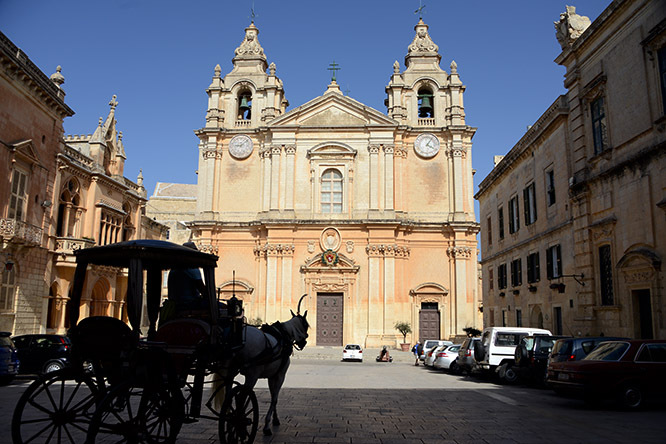 St Paul’s is one of the most important with its history beginning on the story during the first century when a Maltese governor named Publius met an apostle St Paul who had ship wrecked on the island. A quote from the bible describes how St Paul was welcomed and was able to help the population. “In the vicinity of that place were lands belonging to a man named Publius, the chief of the island. He welcomed us and received us cordially as his guests for three days. It so happened that the father of Publius was sick with a fever and dysentery. Paul visited him and, after praying, laid his hands on him and healed him. After this had taken place, the rest of the sick on the island came to Paul and were cured. They paid us great honor and when we eventually set sail they brought us the provisions we needed.” St Paul converted Publius who became the first bishop of Malta, and later made Malta the first Christian country in western Europe and one of the first in the world. St Paul’s cathedral was built over the place where St. Paul first was received by Publius. The story of Publius and St Paul took place nearly 2,000 years ago, but the cathedral was not built until 1697. The cathedral has a large museum that I also failed to visit for some reason. 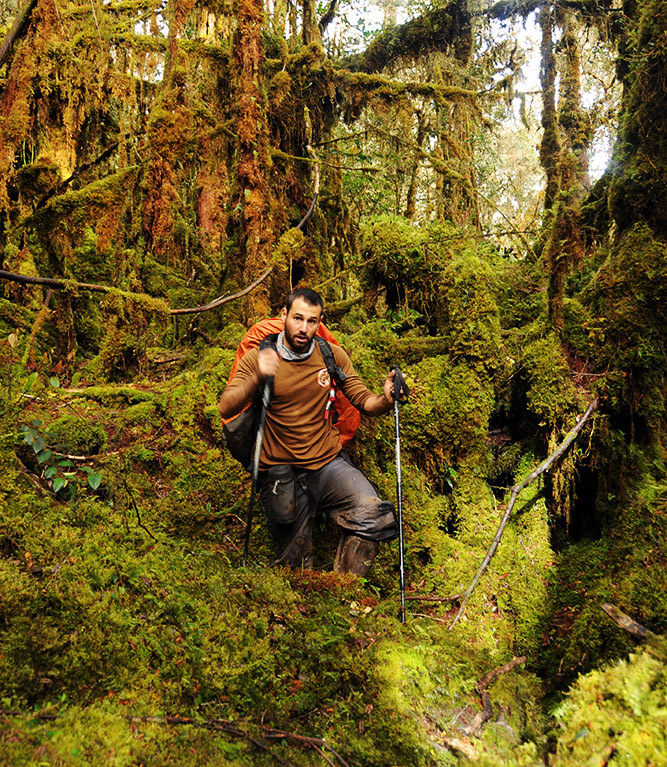 This is the problem with roaming countries on your own and not having a local guide with you! The photo above shows the interior of the cathedral while below is a shot of the floor. 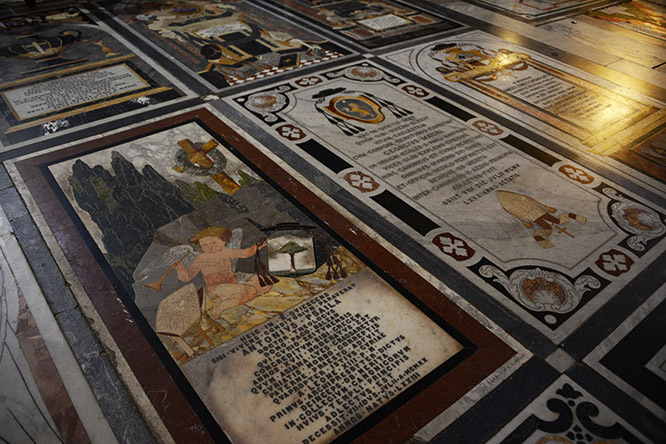 The marbled floor has tombstones with coats of arms and inscriptions about past religious leaders of Mdina. Mdina was the first place I visited, but my first views of the island were from above. 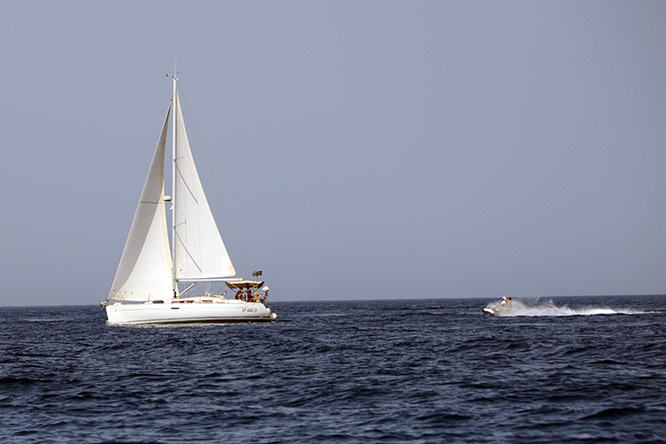 Arriving to Malta by ship is certainly possible, but nearly everyone who visits this tiny island will fly here. 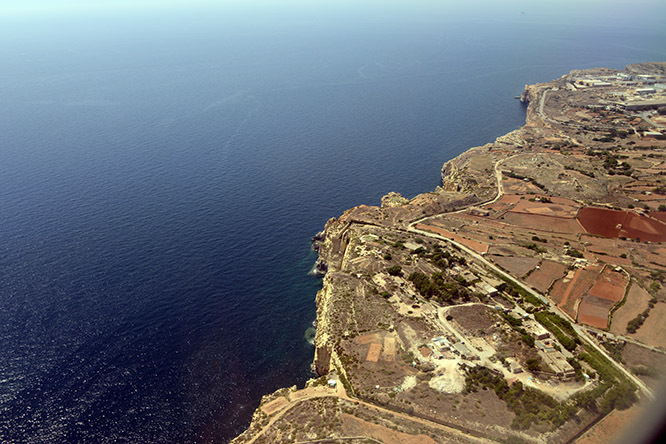 As my flight descended into the island I got views of Malta’s dry and rocky coastline. The photos above and below were my very first impressions of the island. To me, Malta looked like it could be any Middle Eastern or North African country. I hadn’t planned on it, but once I arrived to Malta I ended up renting a car. I figured the island was so small and with my own car I could explore every inch of it. There is a reliable bus system that covers the entire island as well and is reasonably priced, but not having to wait on a schedule or make transfers is always nice! Driving a car around Malta was a bit more annoying than I expected though. There are a few areas that have nice big open highways, but these seriously only last for a few minutes and somehow still can have traffic. Otherwise, it felt as if you’re getting around the country through back roads and alleys. The most annoying part to me was there are no roads that tell you which direction you’re going, like north or south, but only city names. 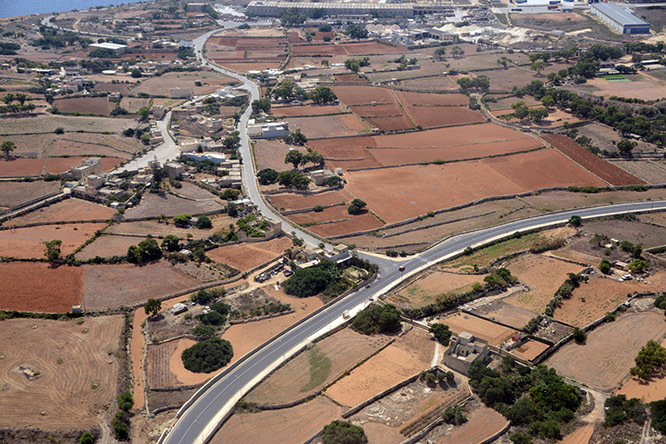 So arriving to Malta and driving in and out of roundabout after roundabout on my first day, it was nearly impossible to navigate without a map based on signs pointing to places I had never heard of. 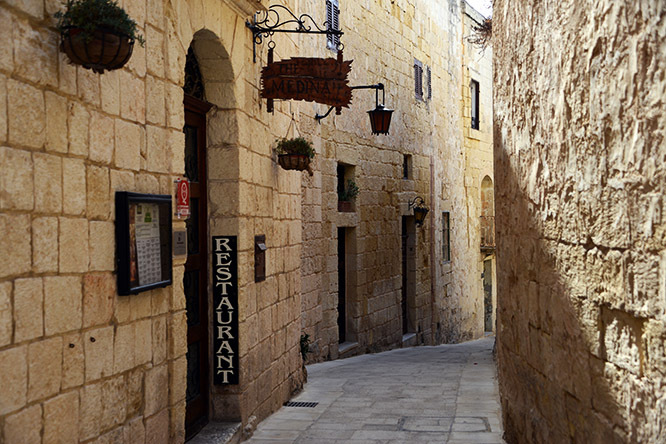 Above is a photo of a typical street I had to drive down while in Malta. Even though I had a car, I didn’t visit the Mosta dome pictured above. I took this photo passing by, and at the time had another destination in mind and figured I’d see the dome on my return. The photos I’ve seen show a pretty impressive structure. There’s a lot more to do in this island nation than I was prepared for. 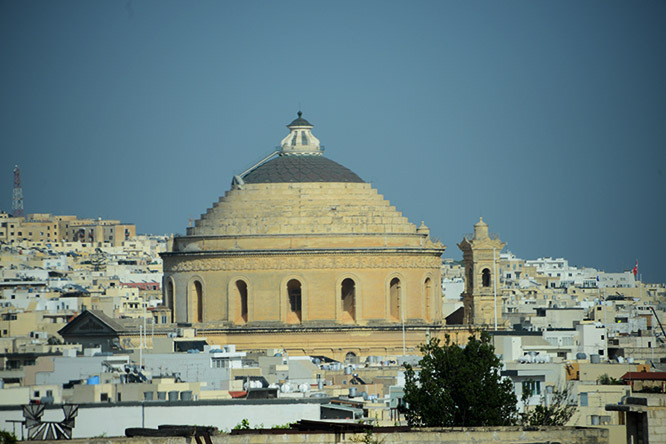 The dome is also called the Rotunda of Mosta, and is oen of the most famous buildings in the country. 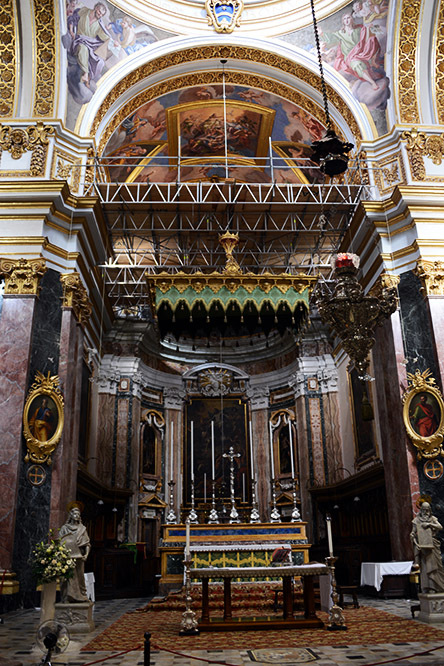 This Roman catholic church was built in the late 1800’s, and aside from its beautiful design and size, it’s also famous for it’s World War II miracle. During an early mass in 1942, a Nazi aircraft dropped two bombs on the cathedral. One bounced off the dome while the other pierced it and fell into the crowd but failed to explode. 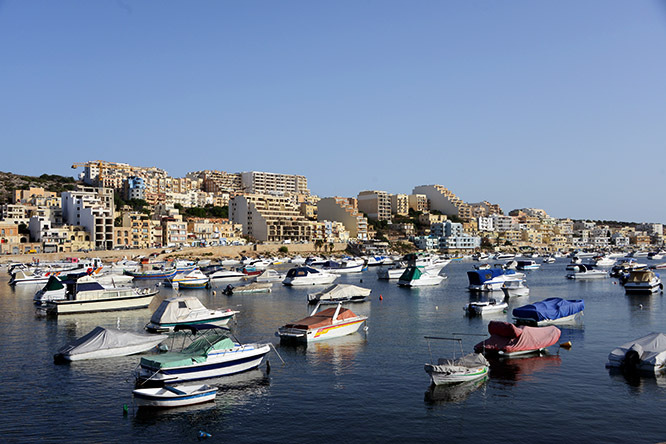 The entire country of Malta only has a population of about 450,000 people, or that of a medium sized city. Despite it’s long history and the time humans have been living here, most of the island isn’t developed. The dry and desert like terrain I’m sure made a challenge for some early inhabitants. While taking some random shots I saw these caves in the mountains that clearly had a wall built in front of them to create some type of shelter. I’ve no idea how old they are. 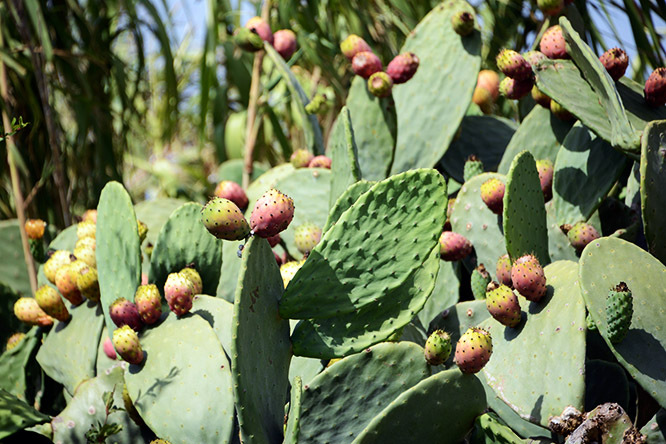 Below is a picture of a cactus I saw all over the islands. I’ve also no idea the history of this building above. I figure it’s either some small historic castle, or maybe it’s a modern day mansion for some rich guy. The place was pretty isolated, and with no trees the land around it doesn’t look very appealing. Whoever lives in here thoguh definitely has a great view. It wasn’t very far from the coast, and from his place he probably has an even better view of the island I photographed below. I nicknamed it Table Top Island because it reminded me of the mountain in Cape Town South Africa. 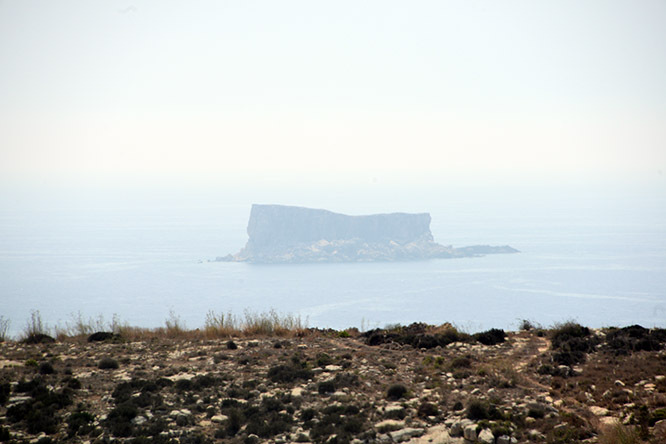 The rest of Malta looks like this from a distance, when you approach some of their random cities and towns. Lots of architecture and structures that look like they could belong in any Middle Eastern country with churches and cathedrals scattered about. 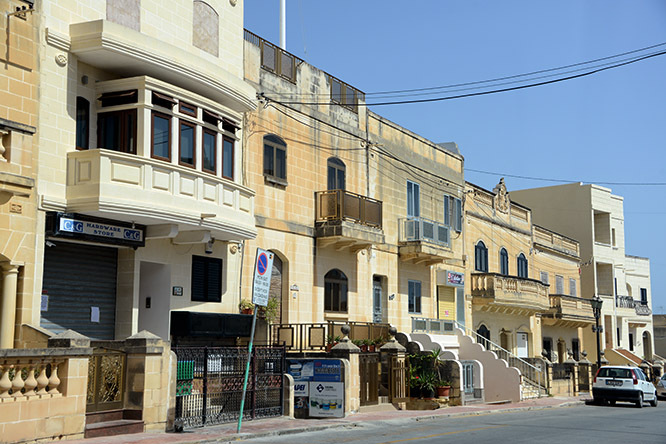 The photo below shows what a typical city in Malta looks like. The photo above is actually the first picture I took after I got on the ground in Malta. 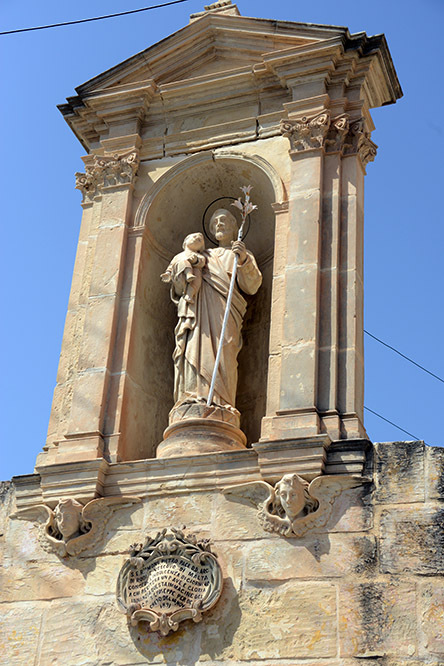 These religious and historic statues appear all over the island. Many are in churches and government buildings, but others like the one above appeared randomly on a city wall, while others are at major intersections and crossings. The most beautiful town in my opinion, and also luckily the same place where I stayed, was St Paul’s Bay photographed above. The bay is located on the north eastern parts of the main island. There’s plenty of restaurants, hotels, and activities to do in the area. I enjoyed going to a nice coffee shop and cafe a few times while I was here to get a break from the scalding sun and use their wifi. 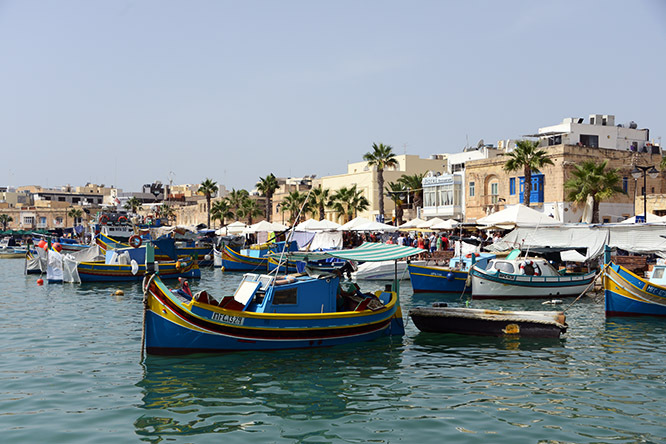 Opposite side of the island as St Paul, is another famous port called Marsaxlokk Bay. The bay definitely competes with St Paul as far as being picturesque. 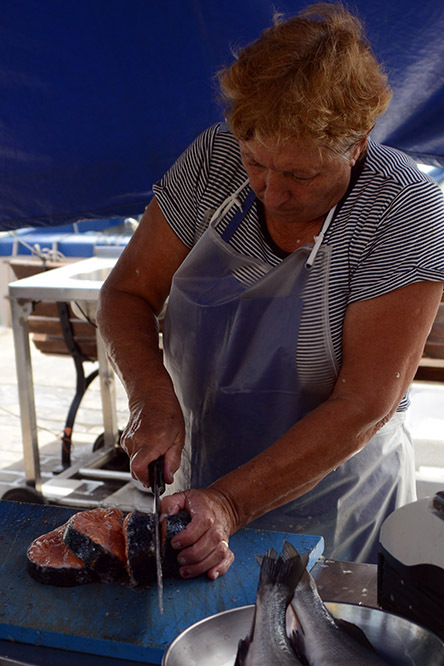 Every Sunday it has a large market that takes place and attracts people from all parts of the island. 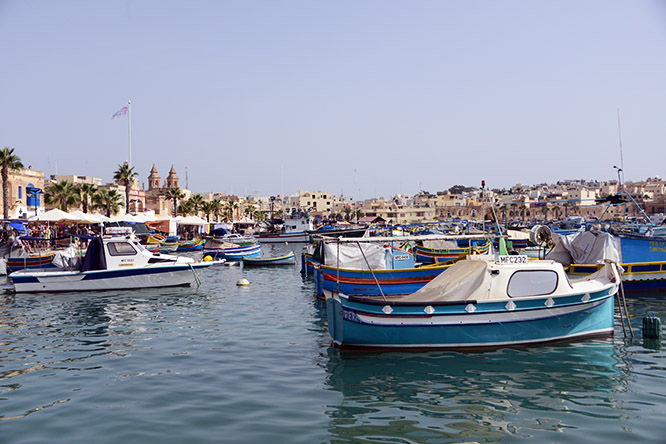 The photos above and below show Marsaxlokk’s crowded bay. 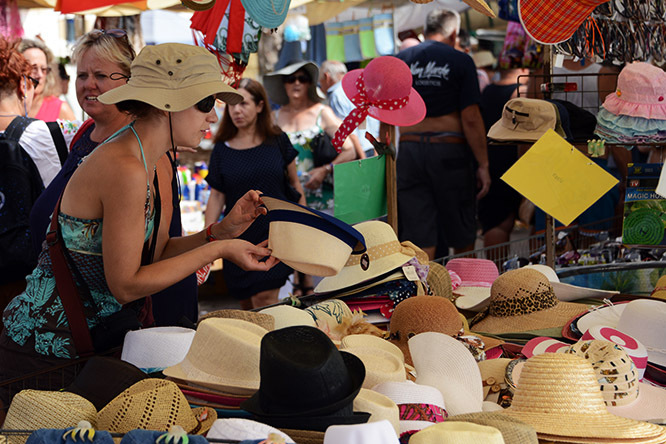 There’s tons of shopping opportunities in Marsaxlokk Bay during the Sunday market. I’m not a big shopper at all, but even I had to buy a souvenir or two and even picked up a new hat and shirt. The market is a decent size and pretty packed with tourists. 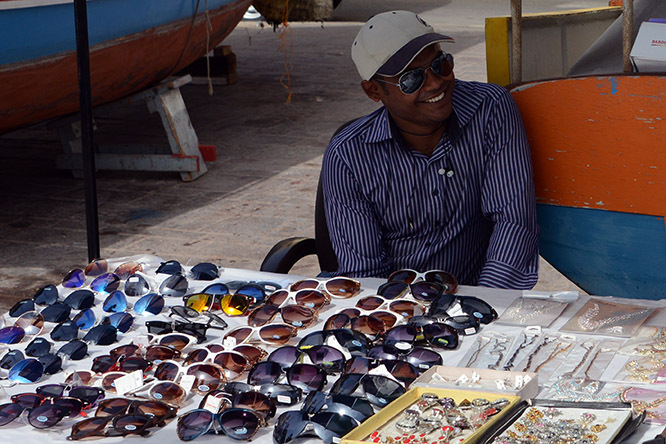 Above you can see some tourists shopping for new hats, below is a vendor selling sunglasses. 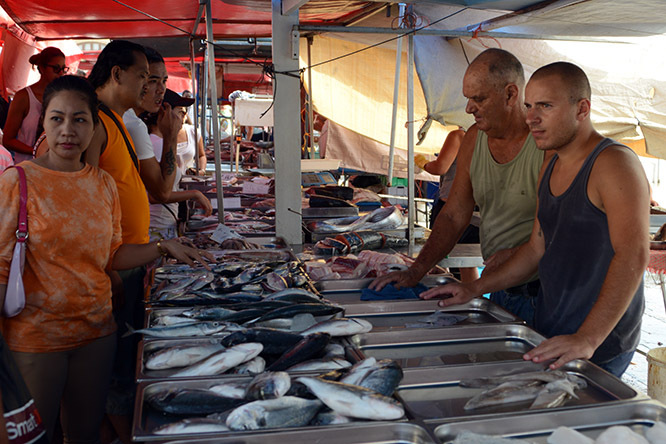 The market has most everything you can think of, from souvenirs, clothing, fruits and vegetables, and of course lots of seafood. All kinds of fish were for sale here, and plenty of other exotic sea creatures. These photos above and below give me a chance also to show what the locals look like. 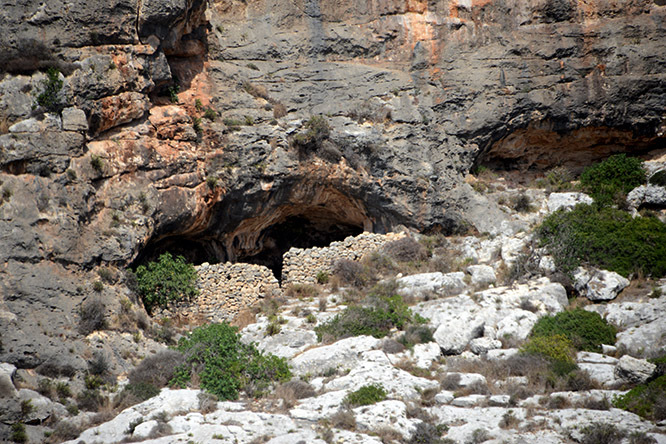 95% of the island is made up of the Maltese ethnic group. To me, I could not tell any difference between them and Italians! 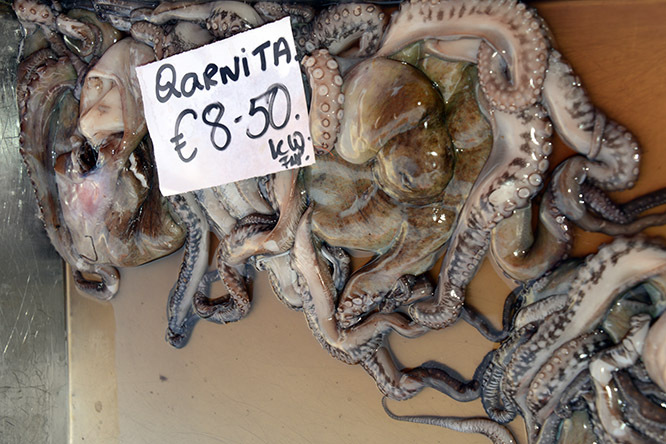 These photos show some of the exotic seafood available in the market. None of it appealed or smelled good to me, but all the vendors seemed to be pretty busy! 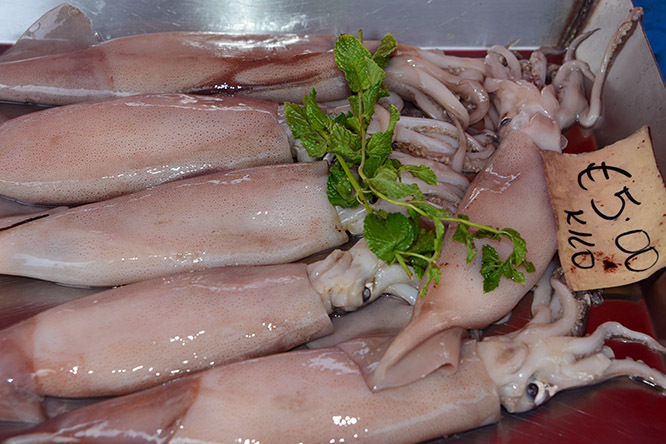 Above is a batch of squid, while below shows some ocotpus for sale. While I don’t appreciate seafood I do like the ocean. 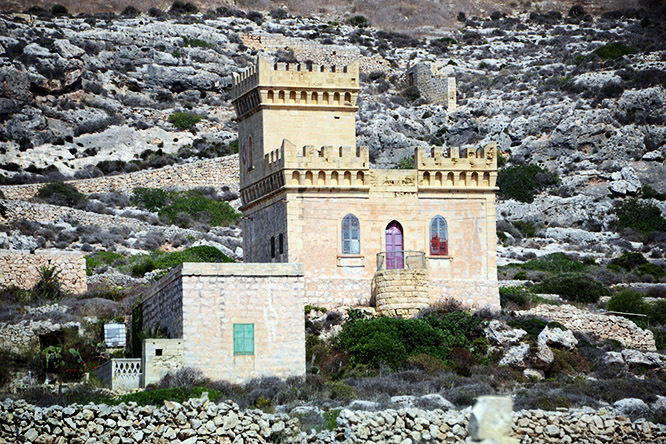 I actually did a small excursion that took me past one of Malta’s other main islands known as Gozo. 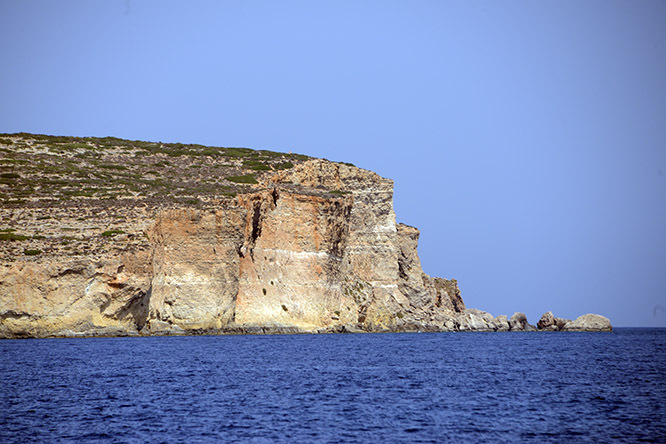 Here you can see some of their dramatic cliffs that line the Mediterranean sea. I hadn’t been to the Mediterranean sea in over a decade, and the last time was actually when I was in the Marines and deployed about an aircraft carrier. 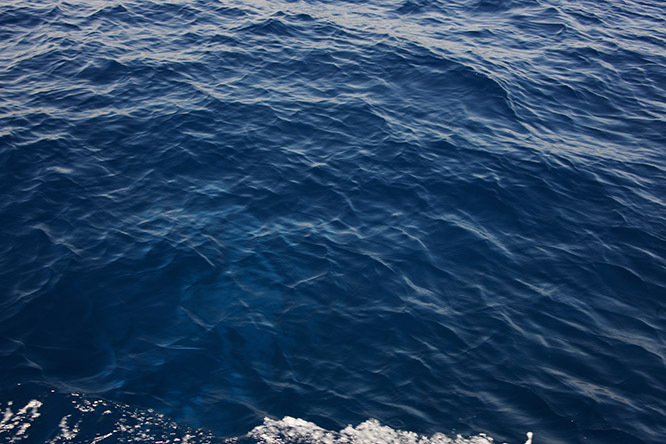 I had always remembered the sea here being deep blue and almost looking like paint. Below is a photo I took while in Malta, and the water looked exactly like I had remembered it! There isn’t much hiking to be done on the island, but plenty of water sports. I imagine the cliffs along the coast offer some great and all sorts of rock climbing challenges, but sailing, jet skiing, and kayaking seem much more popular. 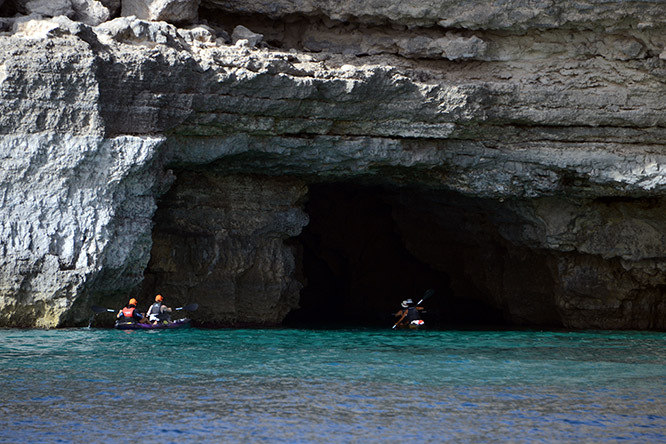 I actually wasn’t able to do as much in Malta as I had planned because I got sucked into scuba diving here! I did a few dives in Malta, but without a digital camera I can only show what my go pro recorded. The go pro looks mostly dark since I didn’t have a dive light, but there are some beautiful colors and scenery down here. I tend to forget the go pro is looking a little bit higher than what my eyes see, so I missed showing a large sea centipede, octopus, and some other sea life!